The Cinque Terre (the Five Lands) are an exceptional landscape of five picturesque villages nestled in a mountainous coastline sloping down to the Ligurian Sea. 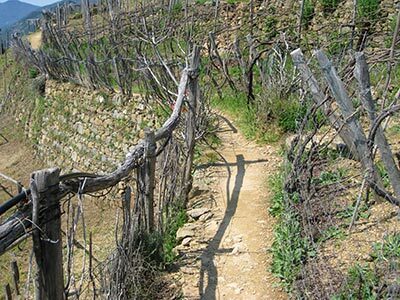 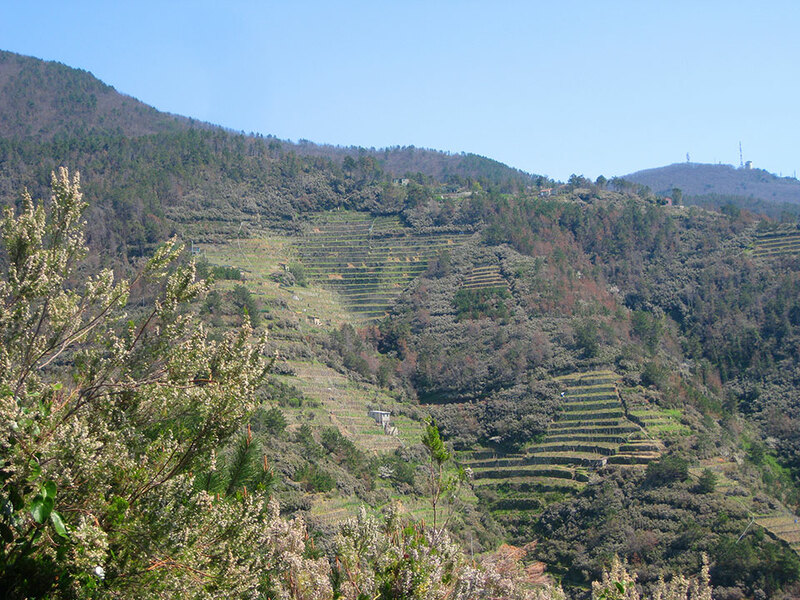 Over the centuries, people built stone walls and terraced the steep slopes to cultivate the land. 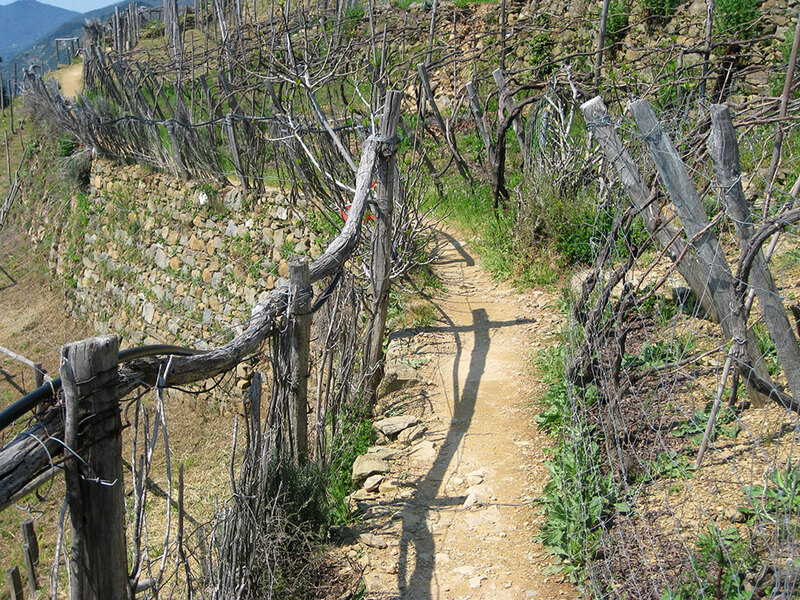 Today the land is still lined with vineyards and olive trees. 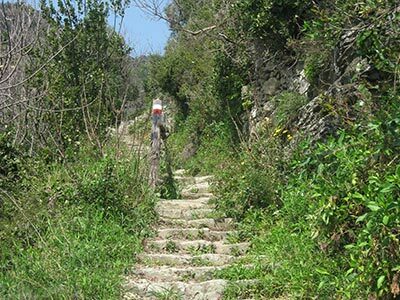 The network of paths and centuries-old flights of steps were once the only routes between villages and now offer visitors numerous hiking options. This unique landscape is the only one of its kind in the world. 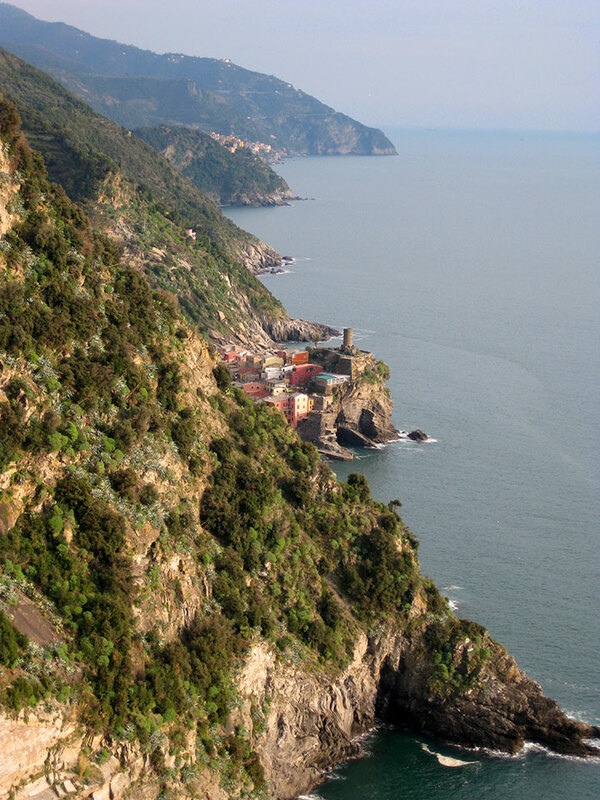 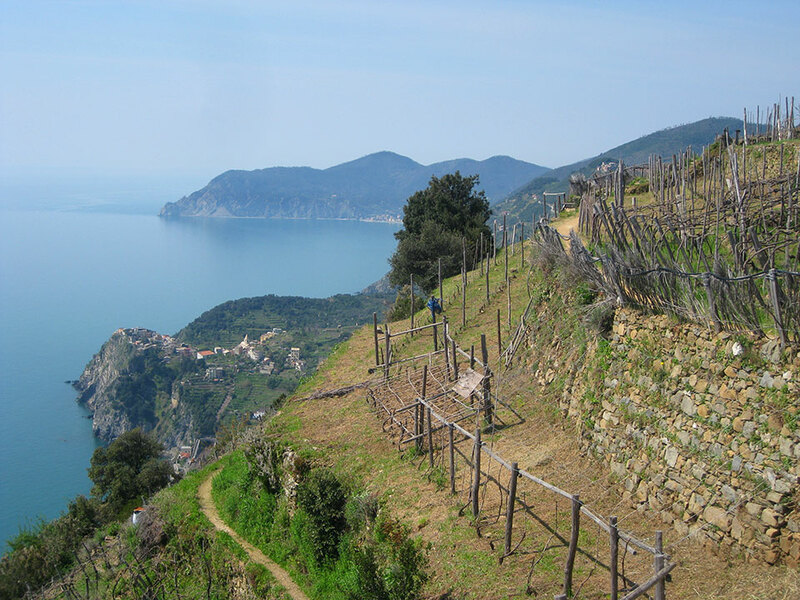 The 4300 acres of hillsides along the coastline make up the Cinque Terre National Park. 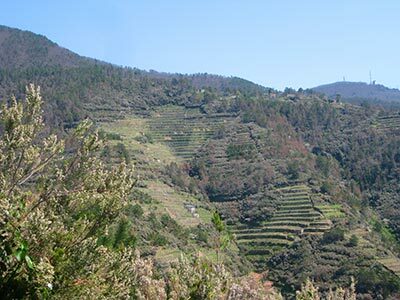 The 5 villages, together with this surrounding landscape shaped by human settlement for the past millenium, were designated a UNESCO World Heritage Site since 1997. 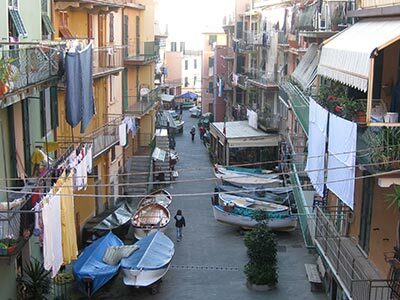 This designation underscores the area's cultural, scenic, and natural significance. 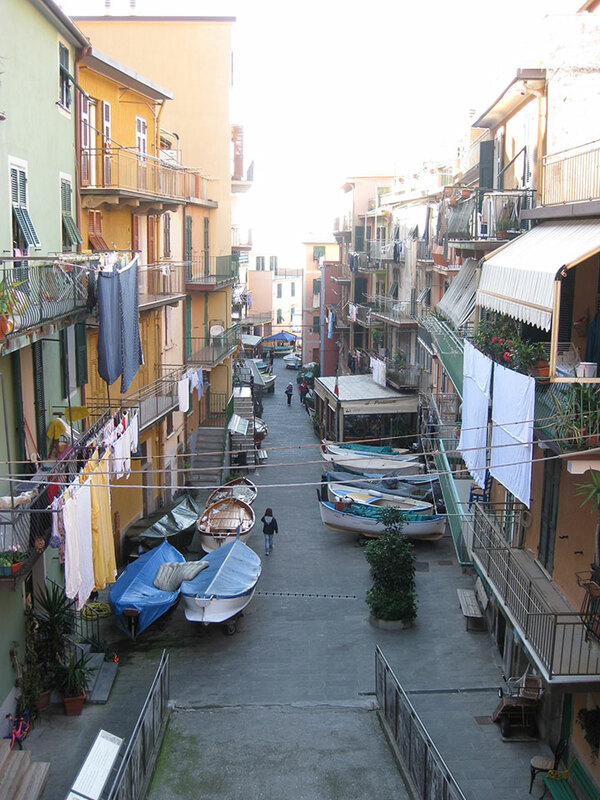 (Read the full text here). 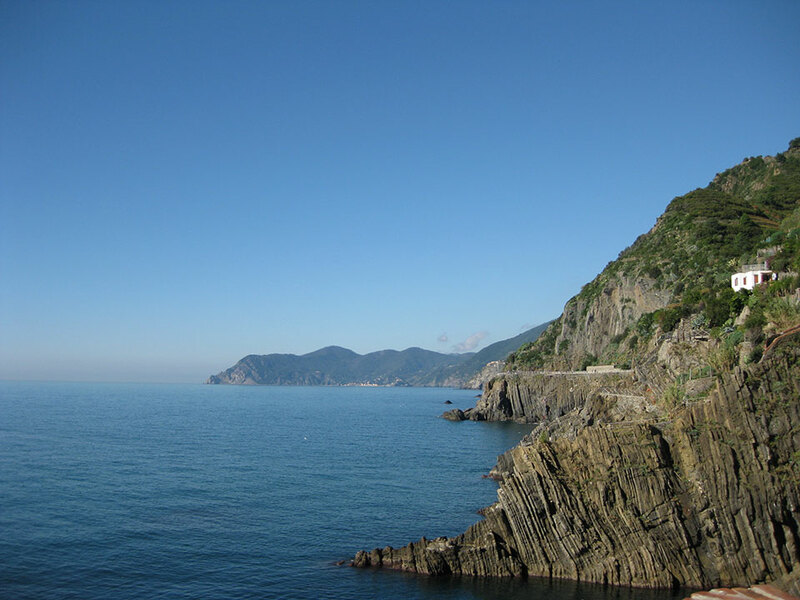 In addition, the surrounding marine area is protected due to the richness and variety of animal and plant species. The multi-coloured pastel houses and maze of narrow streets characterize and preserve the charm of the five fishing villages. Monterosso al Mare is the largest, with a long beach and seafront promenade connecting its historical center to the new Fegina quarter. 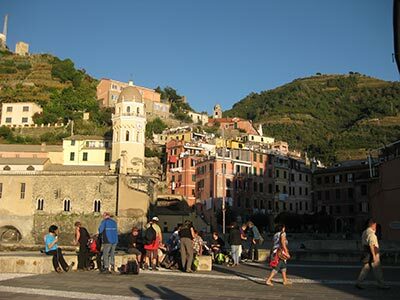 Vernazza's main square faces the harbor, with an old stone church and castle tower dominating the view. 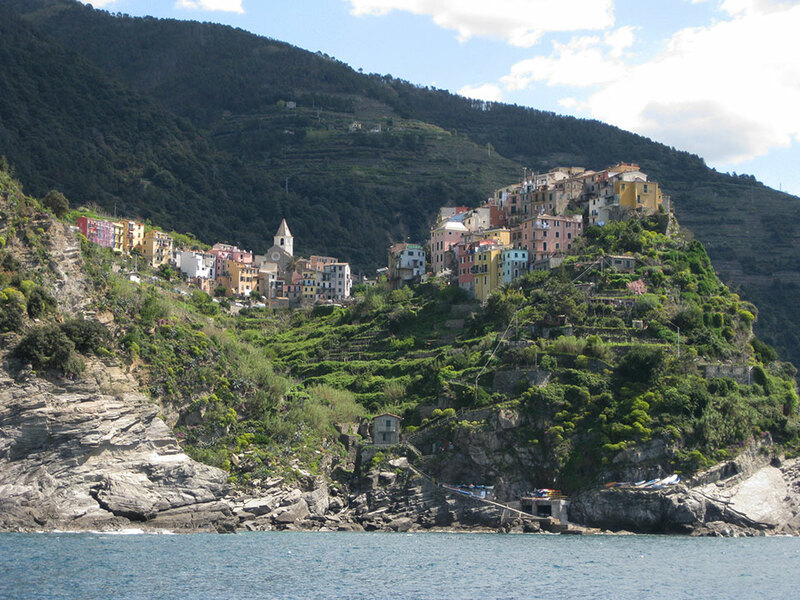 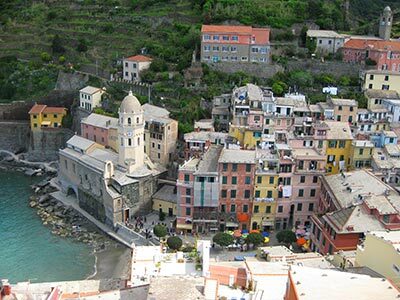 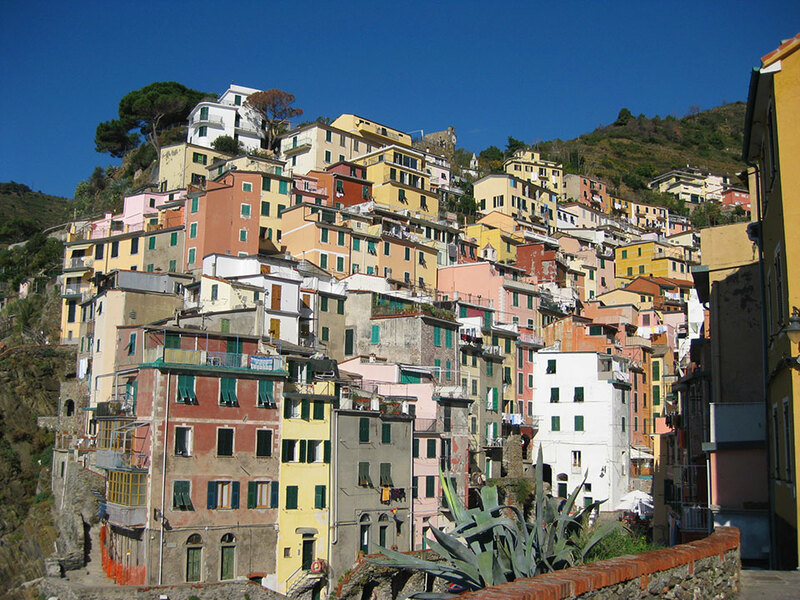 Corniglia, the only village not on the sea, is built on a high promontory and surrounded by vineyards. 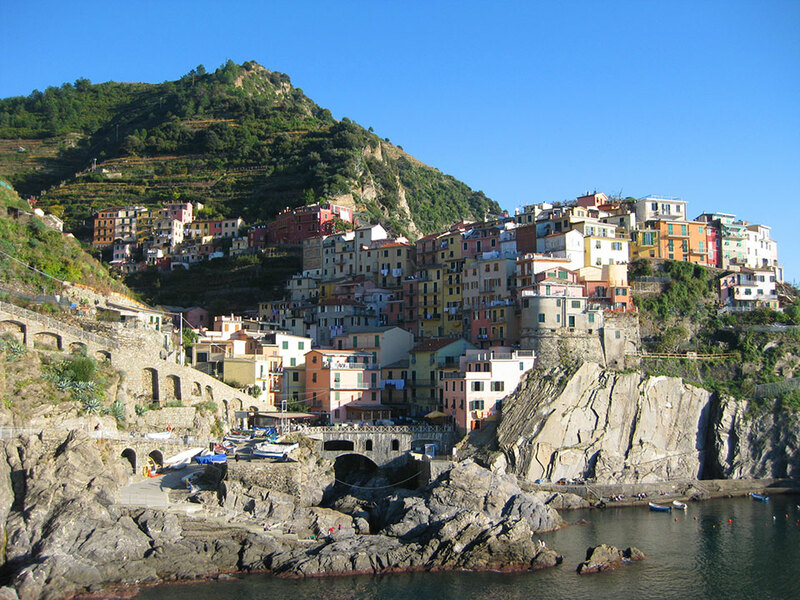 Manarola and Riomaggiore cling to the rock face with their houses piled up in a multi-coloured mosaic overlooking the sea. 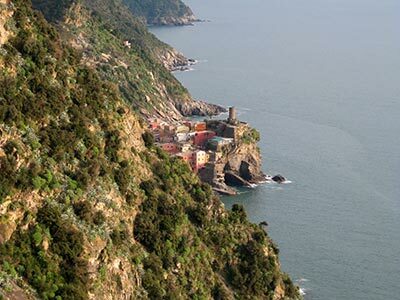 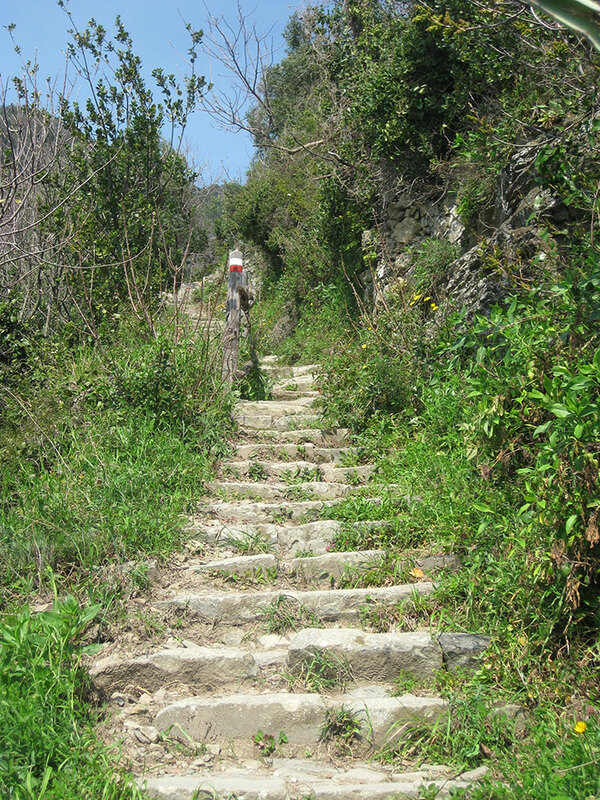 The most famous path of the Cinque Terre is the "Via dell'Amore", connecting Manarola to Riomaggiore and partially cut out of the steep cliffs above the sea.